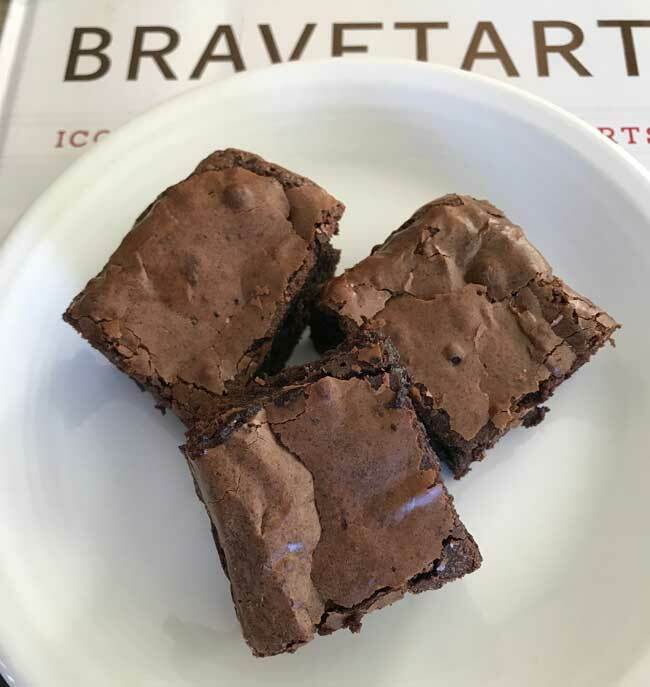 My favorite brownie recipes seem to involve one common technique — whipping the sugar and eggs. 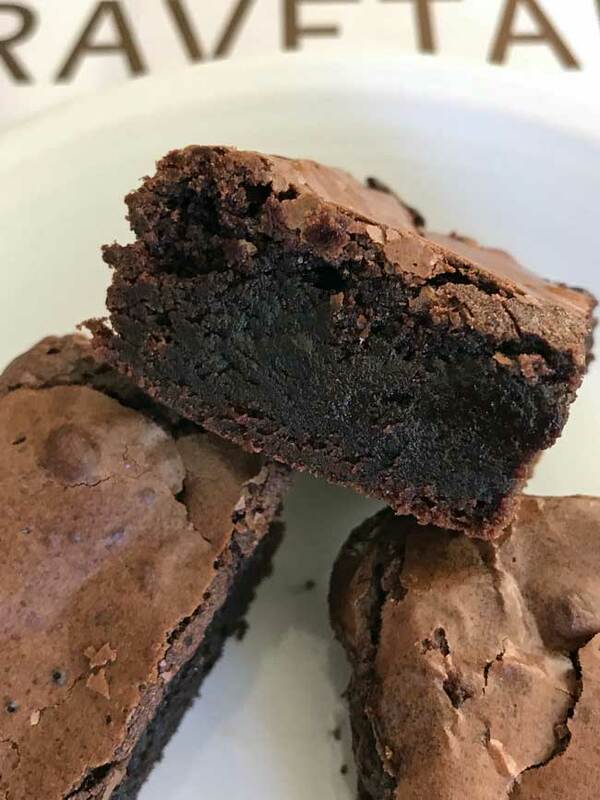 While you can make perfectly good brownies by just stirring everything together, whipping the eggs and sugar gives you brownies that are both rich tasting and light at the same time. So given my penchant for what I like to call “whipped brownies”, I was happy to see Stella Parks’ Glossy Fudge Brownies call for whipped eggs and sugar. I used the recipe from her book, but you can also find it here. I had no problems halving the recipe, and since I’m trying to keep caffeine in check these days I used a packet of Folgers Decaf instant coffee in place of the espresso powder. For the cocoa powder I used Guittard Cocoa Rouge and for the chocolate I used Ghirardelli 70%. Baked in an 8 inch pan, the half batch still took about 25 minutes — same as the 9×13 inch version. So how do these compare with other whipped brownies recipes? I really love my other whipped brownie recipes, but these are fantastic! They might be a tad bit richer. If you are suddenly in the mood for whipped brownies but don’t have the right ingredients to make Glossy Fudge Brownies, here are some other good ones with various types and combinations of chocolate & cocoa. Thanks for reviewing these! Since I own the book I’m really interested in how others are liking the recipes. I think my next project from the book will be the Apple Pie.